The ultimate in ringing media, the radio undoubtedly relies of the quality of the voice, especially regarding advertising. The voice over in radio advertising radio must breakthrough into the listeners’ subconscious, inserting a commercial message in their consumers’ thoughts. Choose then a voice whose timbre captures the attention and that engages your target audience. Voice-overs are also used to enlive cartoon characters. Amusing and humoristic, a character’s voice must also to be unique and recognizable among all. 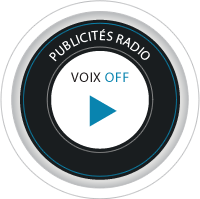 Discover a few examples of radio spots adressed to children. Learn about Guy De Hainaut’s work in radio advertising, one of his specialties!